The October 2015 edition of the Lophams’ News has been published and uploaded to the website. Click here to view it (Adobe PDF format opens in new window). The May 2015 edition of the Lophams’ News has been published and uploaded to the website. Click here to view it (Adobe PDF format opens in new window). The March 2015 edition of the Lophams’ News has been published and uploaded to the website. Click here to view it (Adobe PDF format opens in new window). The January 2015 edition of the Lophams’ News has been published and uploaded to the website. Click here to view it (Adobe PDF format opens in new window). The September 2014 edition of the Lophams’ News has been published and uploaded to the website. Click here to view it (Adobe PDF format opens in new window). 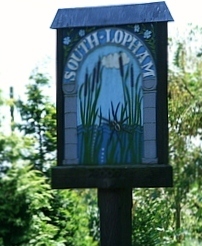 The July 2014 edition of the Lophams’ News has been published and uploaded to the website. Click here to view it (Adobe PDF format opens in new window).